A new 3.0-liter Duramax is coming soon. The Chevrolet Silverado and GMC Sierra 1500 are currently available with four different engines: a 4.3-liter V6, a 2.7-liter turbocharged four-cylinder, a 5.3-liter V8, and a 6.2-liter V8. For a while now, we've known that General Motors was planning to add a 3.0-liter inline-six turbo diesel to the mix and the engine specs were even leaked on the internet. Those initial leaks seem to have been inaccurate because an error in GMC's configurator has accidentally revealed the true specs of the Duramax diesel engine. The initial numbers were a bit optimistic but even with these new specifications, the GM twins will be the most powerful diesel trucks in the full-size class. The configurator says the Duramax inline-six will produce 277 horsepower going out through a 10-speed automatic transmission. This is more power than the Ford F-150's 3.0-liter V6 diesel with 250 hp and the Ram 1500's EcoDiesel with 240 hp, which isn't currently offered on the 2019 model. Power is all well and good but torque is the true measure of an efficient diesel engine. The GM twins will have it in spades with 460 lb-ft available from just 1,500 rpm. This figure is more than the Ford's 440 lb-ft and the Ram's 420 lb-ft.
We reached out to Chevy for a comment on the validity of these power figures and a representative confirmed to CarBuzz "that the all-new, Duramax 3.0L inline-six turbo diesel will deliver an SAE-certified 277 hp and 460 lb-ft of torque, more than any other light-duty, full-size truck diesel available. Dealers and customers can place orders for the efficient, refined diesel and the first customer deliveries begin this summer. We will share more information, including towing capacity and efficiency, in the near future." 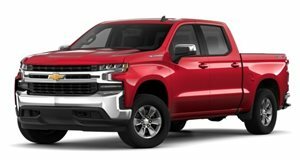 Although the towing figures have yet to be confirmed, we expect the GM trucks to exceed the 7,000-pound towing capacity set by the F-150 diesel. Chevy did confirm how much the engine will cost saying, "it is priced identically to the 6.2L V8 as a $2,495 premium over a 5.3L V8 model (or $3,890 over a 2.7L Turbo model), making the 3.0L Duramax the most affordable light-duty diesel engine on the market." We were also told the diesel will be "available on the Chevrolet Silverado LT, RST, LTZ and High Country trims, as well as all GMC Sierra trims except the base Sierra." GM could make an announcement about the diesel's availability next month at the 2019 New York Auto Show. 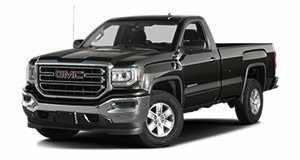 This isn’t some blue collar work mule, GMC is catering to a more sophisticated buyer with the all-new Sierra. In an age when trucks are getting more luxurious by the year, GMC’s most opulent Sierra leaves something to be desired.